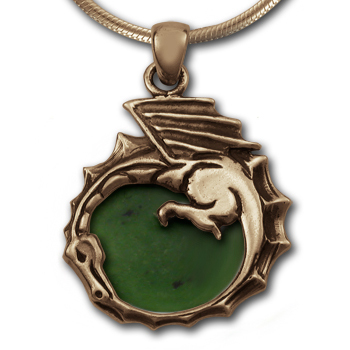 Entwined in a Celtic Thors Hammer, the Sea Dragon represents wealth, power and wisdom. 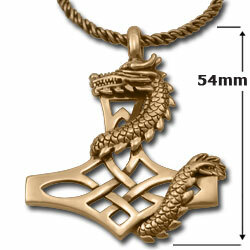 Thor’s Hammer, of course, was inspired by the Viking god Thor (for whom Thursday was named!). 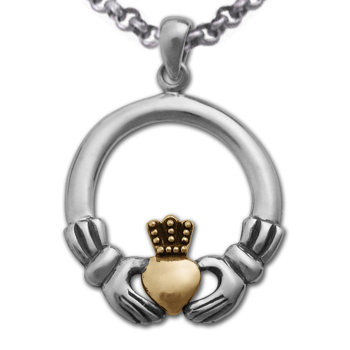 Said to offer protection to his devotees, Thor had the power of thunder. 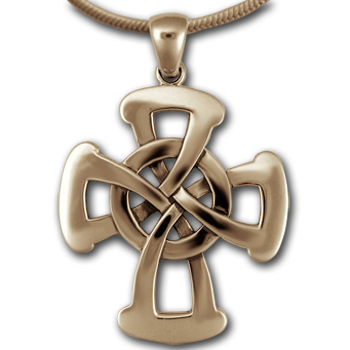 The Vikings ruled from 700 A.D. to 1200 A.D. An exceptional pendant design, cast in 14k Gold and oxidized to bring out the fabulous detail!